I have been working on this little linocut on and off for the past week and am pleased to introduce him! I want to make a little mini quilt for my front door with a fall theme. I plan to use this as the center panel. I made up some extras for you and they are in the shop! 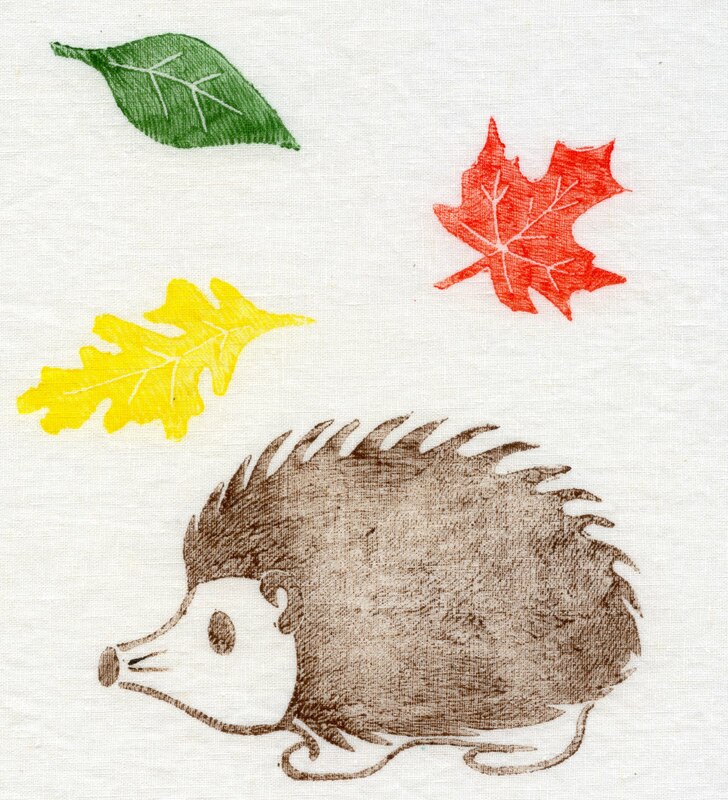 The hedgie was carved into a 4″ x 6″ block and filled it right to the edges. Each of the leaves were carved into individual blocks and printed separately. They measure about 2 1/2″ to 3″ each. All told, the panel design is about a 10″ square. Hedge will be reincarnated in a month or so with falling snowflakes! Fun!